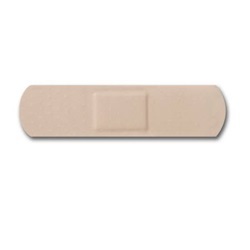 McKesson Medi-Pak Performance bandages help protect cuts and scrapes by conforming to skin with an absorbent, non-stick pad. Single use, sterile individual packages help promote cleanliness and further protect against infection. 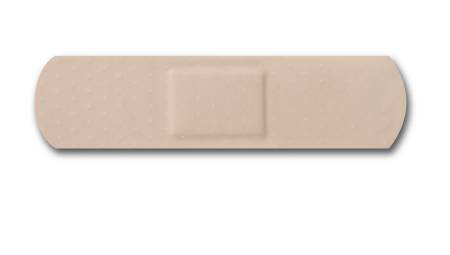 Bandage measures 0.75 X 3 Inches and is rectangular in shape and tan in color. Breathable plastic material that is latex free. Comes 100 per box.